For one, we now know Saturn's moons may support life. 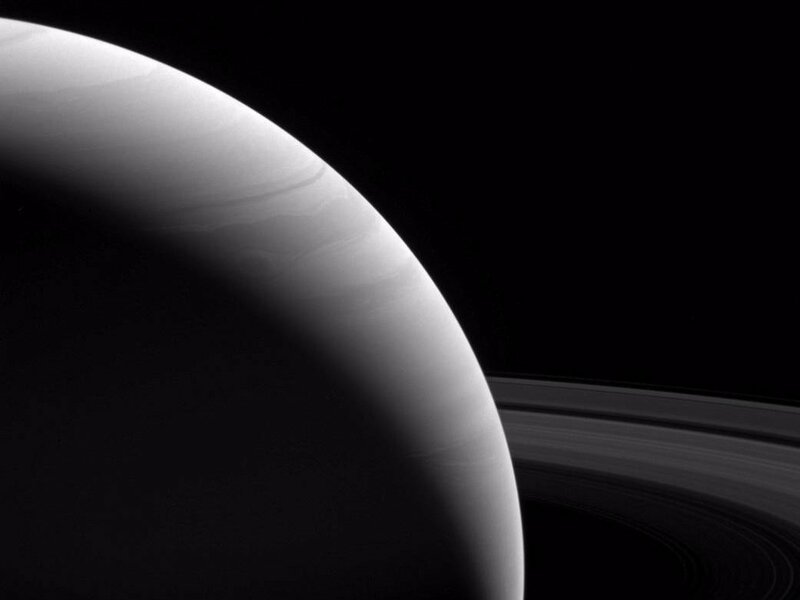 The Cassini spacecraft is locked in a death dance with Saturn, yet its time there has not only revolutionized our knowledge of the ringed planet. In the course of its mission, Cassini has also revealed new information about Saturn’s moons, like Titan — which, we discovered after the touchdown of the Huygens probe in 2005, hints at what Earth may have been like very early in its primordial life. The nuclear-powered spacecraft’s four-year foray in Saturnian orbit began in 2004, and filled our screens with the majesty of Saturn’s clouds and signature rings. It also studied the moons Enceladus, a frozen body striated with fractures and crevasses, and Titan, the hazy, planet-sized moon whose liquid methane rivers and sea astounded scientists. Enceladus’ icy surface masks what many suspect to be a subsurface ocean, potentially bustling with microbial life, much the same as we suspect of Jupiter’s moon Europa. Last Monday Cassini executed the first of five final orbits, skimming Saturn’s atmosphere. As one of NASA’s flagship missions (high-end explorations of the planets), the “Grand Finale” for the $3.26-billion, 20-year mission, will end in a spectacular display, disintegrating into Saturn’s atmosphere. By discovering conditions for life on Saturn’s moons, Cassini made its death dive a moral necessity for NASA: if Cassini were allowed to continue orbiting, it would run out of rocket fuel and leave mission operators unable to control its course. Without outside corrections, the spacecraft could crash into one of those moons, potentially contaminating any life there with Earthly microbes. The irony of flagship missions like Cassini, and Galileo before it, is that their destruction came precisely because they exceeded our expectations. 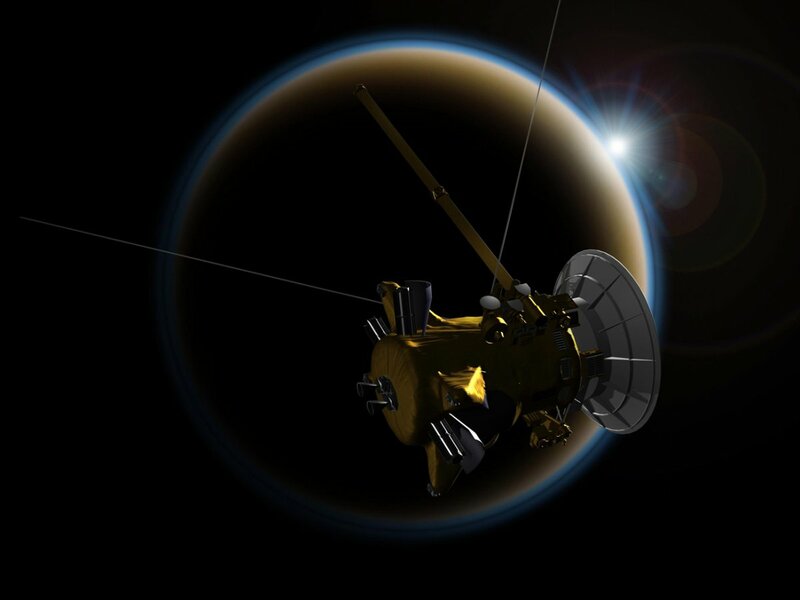 Cassini’s final five orbits will use Titan’s gravity. This gravitational slingshot conserves untold amounts of fuel, the supply of which the craft has nearly exhausted. 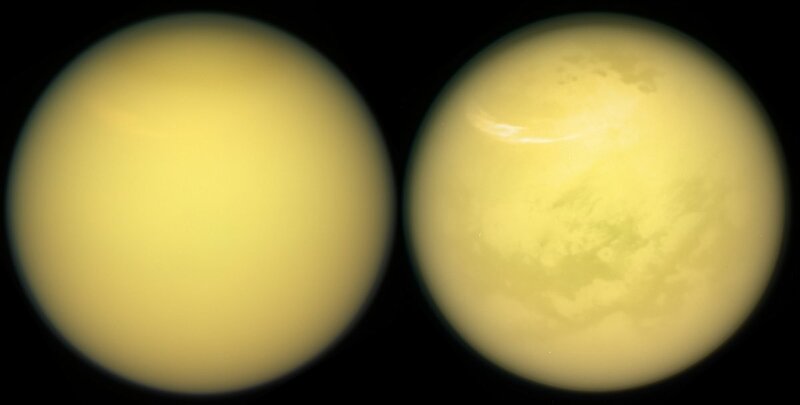 These two images of Titan reveal its cloudy, hazy atmosphere. 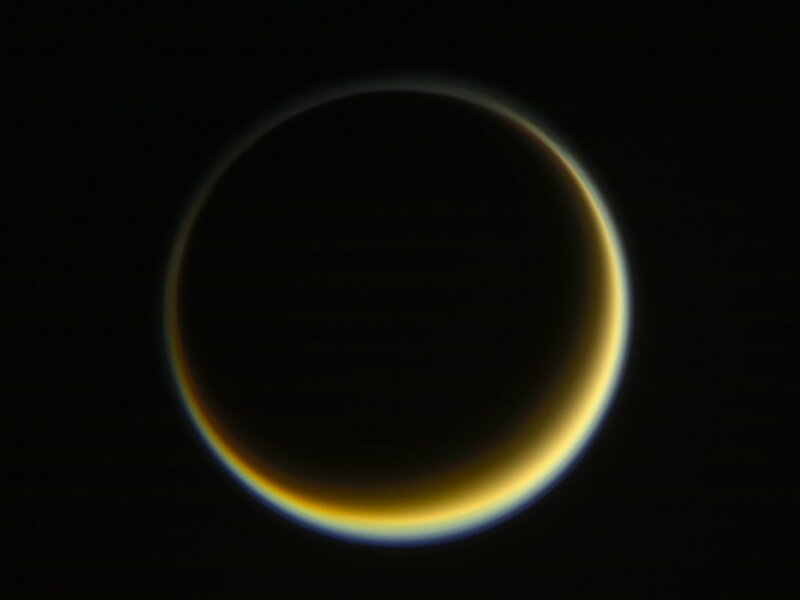 This is Titan’s night-side, featuring its signature hazy atmosphere. The image was captured roughly 2 million km (1.2 million miles) from the giant moon. Scientists have yet to understand why there is no tilt between Saturn’s magnetosphere and its rotational axis. This contradicts our knowledge of magnetic fields, seeing as Earth’s magnetosphere is off-rotational-axis. This also means we don’t know the length of Saturn’s days. 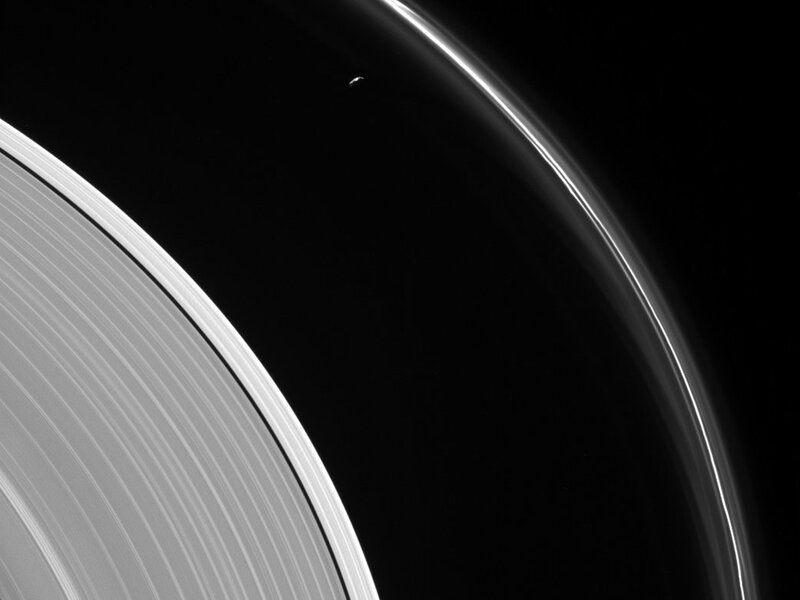 Check out this view of Prometheus, a moon in precarious orbit inside Saturn’s F-ring. 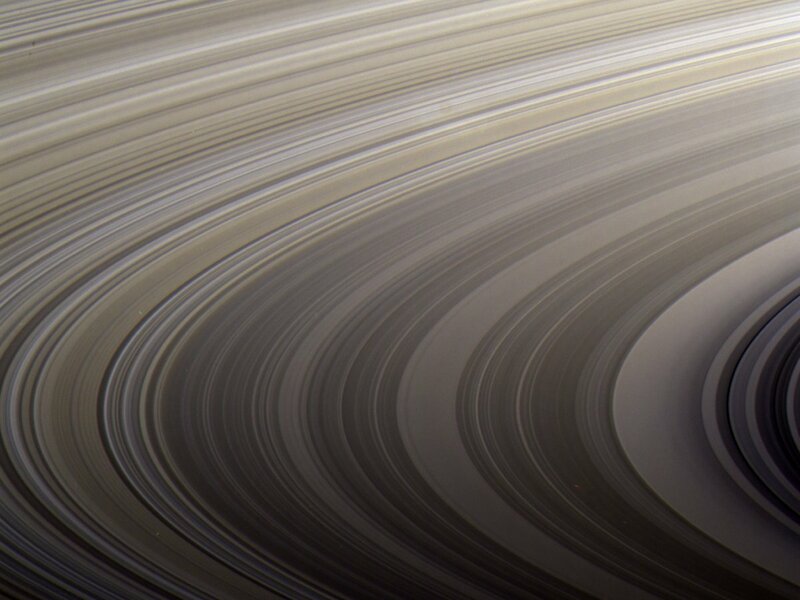 Gravitational interactions with Prometheus (86 km in diameter, or 53 miles) shape the ring’s subtle features. On August 20, the probe will glimpse Saturn’s poles, in addition to distant flybys of the moons Pandora, Pan, and Daphnis. Cassini will also search for aurora at the planet’s poles and measure the temperature of the planet’s southern polar vortex, using its onboard Composite Infrared Spectrometer. The craft will see us, too: distant and dim, the pale blue dot astronomer Carl Sagan once mused about the (in)significance of. 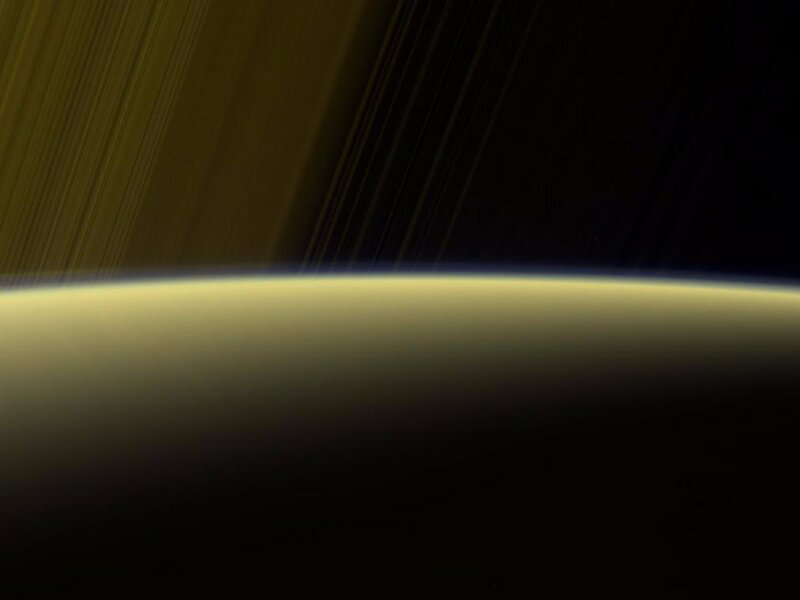 During its final five orbits, Cassini will collect and analyze samples of Saturn’s atmosphere directly for the first time, revealing its composition. On September 11, the craft will use Titan’s gravity for the last time, aiming for a last pass of the gas giant. Cassini will burn up on September 15, 2017. It’s clear that this isn’t an obsolete old probe meting out its final days on a glorified survey mission. It’s one more adventure; a final symphonic movement for a world(s)-class orchestra.